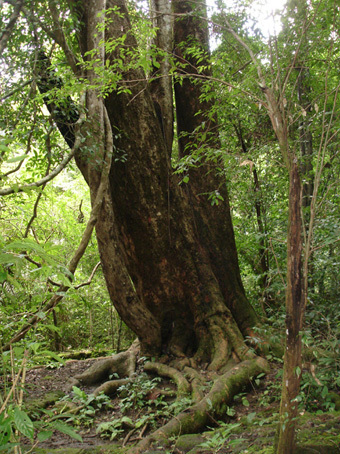 For a species list of trees in the park, go to flora. 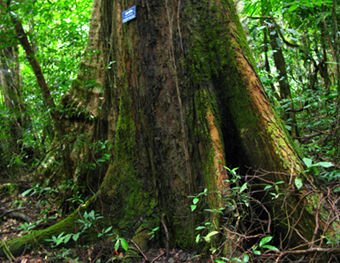 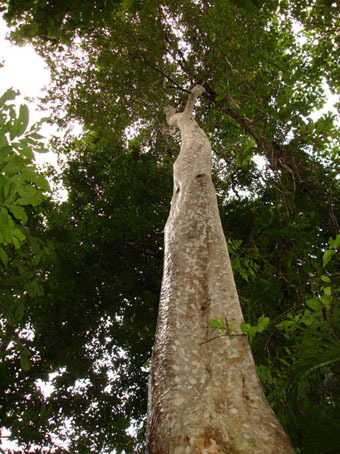 A number of classic, tropical forest Dipterocarp species are found in Cat Tien, including: Dipterocarpus alatus. 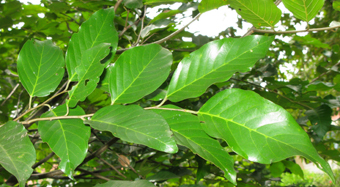 (which is being re-planted near the Park HQ; 6 other spp. 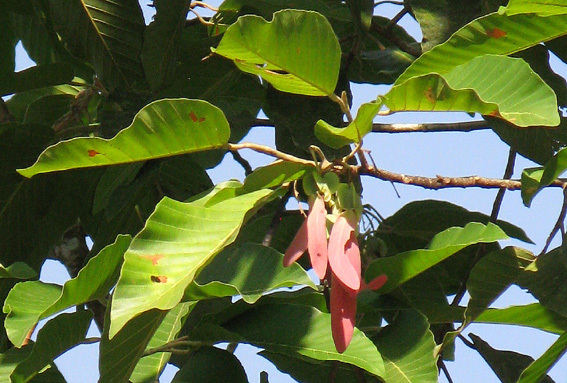 are listed), Hopea odorata (shown below) and 3 Shorea spp. 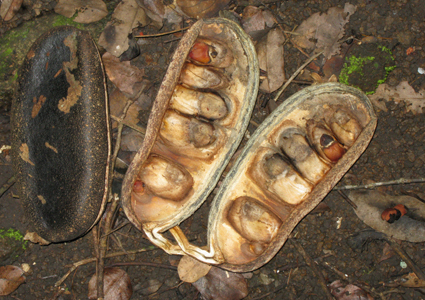 - more information here. 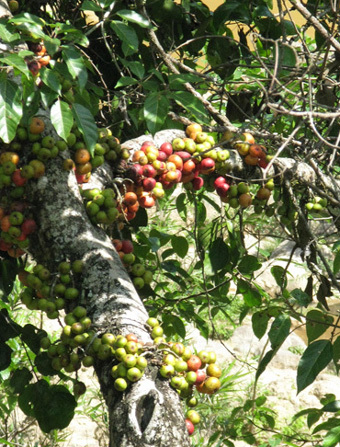 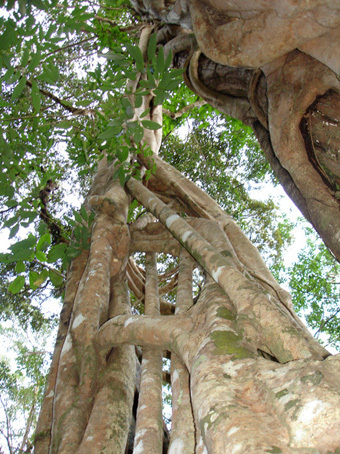 Figs: there are many species in the genus Ficus (Moraceae), amongst which Stranglers (below left) are a common sight. 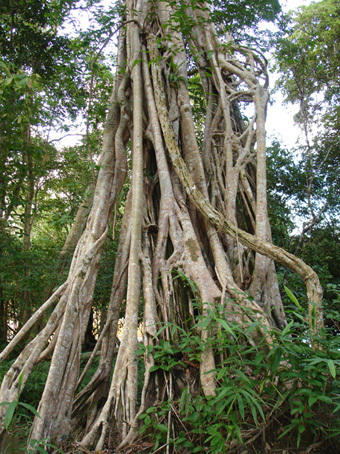 Many Ficus spp are free-standing trees and bushes. 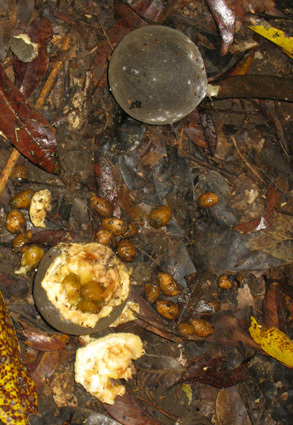 Fruit, including the fig F. racemosa (above right) are an important food sources for monkeys, birds, etc. 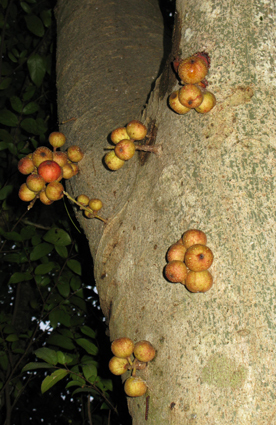 Wild species of familiar fruits include mango and rambuttan. 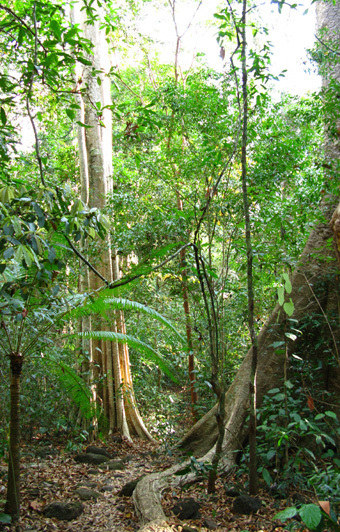 A large number of palms (Arecaceae) and cycad species can be found in the Park. 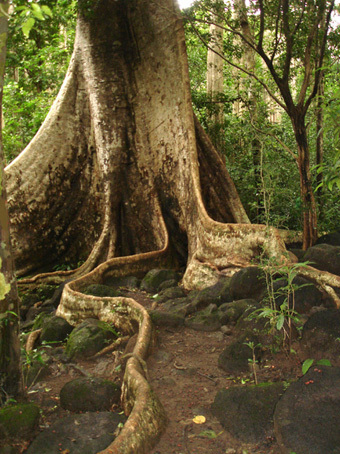 The picture below shows a lower canopy cycad adjacent to the buttressed roots of of larger trees. 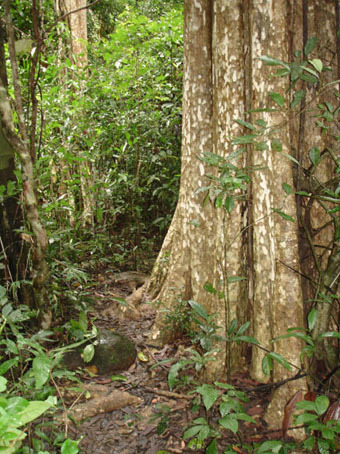 There are a number of species to be found here in the palm family including rattan, which is used throughout Asia for making furniture, but is now relatively rare in the wild. 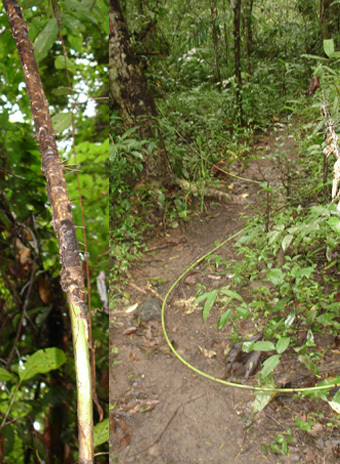 The smooth stems are commonly seen trailing along the Park forest floor, but then become covered with a spiny sheath before climbing towards the light tree canopy (inset below left).